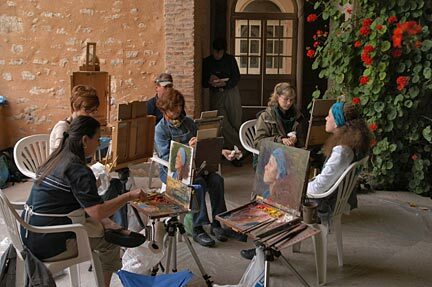 In 2006 we (a group of 6 artists and spouses) spent a week at a chateau in France studying/painting with Scott and Susan -- a once-in-a-lifetime opportunity! When the weather was bad, we painted in the "orangerie" practicing portraits, but most days we went to different villages and chateaux to paint. 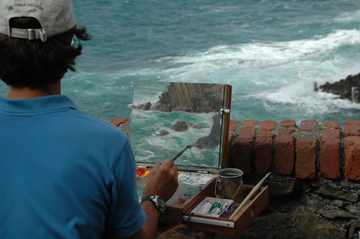 In 2007 we met up with Scott & Susan in Vernazza, Italy to paint in the Cinque Terre area. 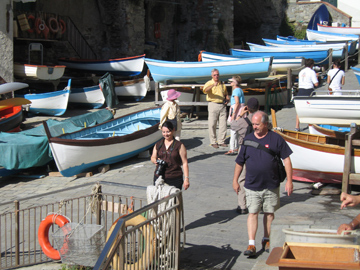 They arrived earlier to paint the five villages and hike the hillside paths. One of Scott's wonderful demos! Scott & Susan now have DVD's and online videos. 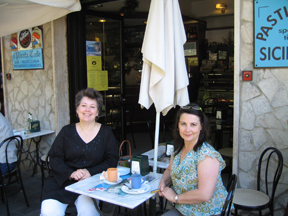 They are both wonderful and generous instructors. 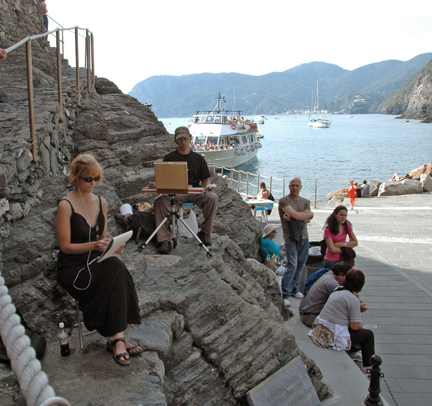 This photo (left) is of Susan and Scott on the hillside in Vernazza painting and sketching the day we arrived. Susan looks elegant as always. spent a week in the area. Robert and me with cameras in Manarola.